Hide this Project (Raheja Sampada) Discover properties in other projects by hiding the ones that doesn't interest you. You won't see them in your searches further but you can unhide anytime later. Hide this Dealer (Dehleez Home)Discover properties by other dealers by hiding those whom you have already spoken to. You won't see them in your searches further but you can unhide anytime later. Hide this Dealer (Arunesh) Discover properties by other dealers by hiding those whom you have already spoken to. You won't see them in your searches further but you can unhide anytime later. Hide this Dealer (CHARU GUPTA) Discover properties by other dealers by hiding those whom you have already spoken to. You won't see them in your searches further but you can unhide anytime later. Hide this Dealer (Akash) Discover properties by other dealers by hiding those whom you have already spoken to. You won't see them in your searches further but you can unhide anytime later. Hide this Dealer (Vaibhav Sharma) Discover properties by other dealers by hiding those whom you have already spoken to. You won't see them in your searches further but you can unhide anytime later. Hide this Dealer (amit kumar mittal) Discover properties by other dealers by hiding those whom you have already spoken to. You won't see them in your searches further but you can unhide anytime later. Hide this Dealer (Soumitra Kumar Chakraborty) Discover properties by other dealers by hiding those whom you have already spoken to. You won't see them in your searches further but you can unhide anytime later. Hide this Dealer (Real Shape & Structure Private Limited)Discover properties by other dealers by hiding those whom you have already spoken to. You won't see them in your searches further but you can unhide anytime later. Hide this Dealer (R.D. Realtors)Discover properties by other dealers by hiding those whom you have already spoken to. You won't see them in your searches further but you can unhide anytime later. Hide this Dealer (LANDSEC INDIA)Discover properties by other dealers by hiding those whom you have already spoken to. You won't see them in your searches further but you can unhide anytime later. Hide this Dealer (RELIABLE REALTORS)Discover properties by other dealers by hiding those whom you have already spoken to. You won't see them in your searches further but you can unhide anytime later. Hide this Dealer (T P Singh) Discover properties by other dealers by hiding those whom you have already spoken to. You won't see them in your searches further but you can unhide anytime later. Raheja Developers presents Sampada, your modern luxury homes located at Sector 92, Gurgaon. The layout plans have been designed in such a manner that you can combine togetherness of your family with keeping your personal space. Raheja Sampada offers 3 BHK and 4 BHK penthouses and presidential suites nestled with world class amenities and state of the art architecture. Raheja Sampada offers a competitive price list which will not burn a hole in your pockets. Book your flat at Raheja Sampada, where life is a festival! What is the project location?The project is located at Sector-92, Gurgaon. What is available flat size in Raheja Sampada? Flat sizes in the project range from 1370.0 sqft to 2072.0 sqft. What is the area of 3 bhk in Raheja Sampada? 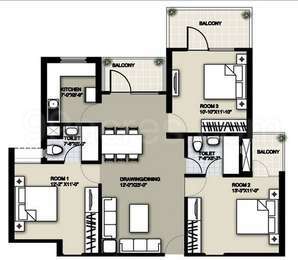 Three-room units (3BHK) in the project are available in an area of 1370.0 sqft to 2072.0 sqft. What is the 4 bedroom size in Raheja Sampada? 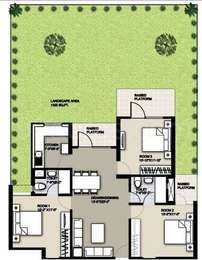 Four-room units (4BHK) in the project are available in an area of 1850.0 sqft to 1908.0 sqft. How much is price of 3bhk in Raheja Sampada? The price of 3 BHK units in the project ranges from Rs. 4700000 to Rs. 8000000. What is total price of 4 bhk in Raheja Sampada? The project offers 4 BHK units within Rs. 6500000 to Rs. 12000000.
commercial, retail, hospitality and SEZ - Raheja Developers continues to deliver their best in terms of grand real estate spaces. The group's dedication is reflected in all the real estate projects. Whether it is robust infrastructure or the state-of-the-art facilities, all their projects keep up to their promises. Names of projects include Rajeha Revanta residential, Rajeha Trinity commercial and Rahejasez. i WANT TO KNOW THE APPROXIMATE MARKET PRICE FOR MY FLAT SITUATED IN SECTOR 92 GURGAON WITH THE NAME OF RAHEJA SAMPADA. IT IS 1850 SQFT WITH 4BHK . Hi, How is the Sector 92, Gurgaon location for investment point of view, I am looking for a 2bhk unit can I get some reviews ? go with cresent park for more reply on @. Hi,if you want to go for 2 BHK in sector-92,Go with the projects which takes at least 2 or 3 yrs to complete.Because basic amenities also take time.